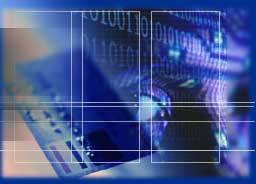 DB Financial is an established provider of Payment Services through BluePay Processing, LLC. The person behind DB Financial / DB-BluePay is Bill Schlunz. See 'About Us' for more info. Whether your business is a "brick and mortar", or mail-order, or eCommerce location, we can help. Our FastApp(tm) opens the merchant doors and affords businesses the ability to accept credit cards today! We help merchants accept CC's for the first time AND those already accepting CC's that want to improve their situation. Our industry experience has unleashed the profit potential of thousands of merchants to conduct local and global business. BluePay provides a competitive advantage to businesses, offering a complete portfolio of processing systems and services to meet the ever expanding needs of our global clients. We partner with industry leaders to provide cutting edge, innovative products and services to meet the needs of our merchants. Our specialty is small to medium sized companies. Get set-up to Accept ALL of these in your business! BluePay is an industry leader in merchant solutions. We specialize in helping merchants establish Retail, Mail/Telephone Order, and eCommerce payment solutions and securely accept credit cards at the place of business. BluePay provides very competitive pricing, progressive technology, and excellent service. Philosphy: Provide excellent service, going above and beyond for our merchants, at a very affordable price. Our goal is to give the best pricing and service possible, so that our merchants are our clients for life. ©2004-2011 DB Financial, All Rights Reserved. DB Financial represents BluePay, a registered ISO/MSP of Wells Fargo Bank, N.A., Walnut Creek, CA.